Do We Have To Love The Tooth Fairy? Show of hands… who LOVES the idea of being woken up in a frantic state? Anyone… anyone?? Yeah, that’s what I thought! I’m right there with you! Anyone that has children knows, however, sometimes this is something that can’t be avoided. Whether it’s a child who isn’t feeling well, or one who just woke up from a bad dream, or one who simply loves to come into your room singing at the top of their lungs “GOOOOOOOD MOOOOORNING!”, it’s all something we experience! In my case, this happened to me because the tooth fairy didn’t pay up for the tooth she apparently took! Last night my 7 year old’s tooth fell out! It’s been hanging by a thread for some time now so this came as no shock. We excitedly put the tooth in his tooth pillow and placed it on his dresser. That pillow has never seen the underside of any of their pillows because they’d rather eat snails than have the tooth fairy come that close to them while they sleep! So anyway, back to the task at hand! Tooth cleaned off…check! Tooth put into the pillow…check! Pillow placed on the dresser…check! Everyone nicely (well as nice as a house of 4 kids can) went to sleep. Unfortunately my husband and I both fell asleep with no tooth in our thoughts! Fast forward to this morning and our bedroom door was barreled open by not only my 7 year old, but by my 8 year old as well! “The tooth fairy took my tooth but didn’t leave me money!” “Yeah, the tooth is gone but there’s nothing in the pillow!” And now the nausea sets in! 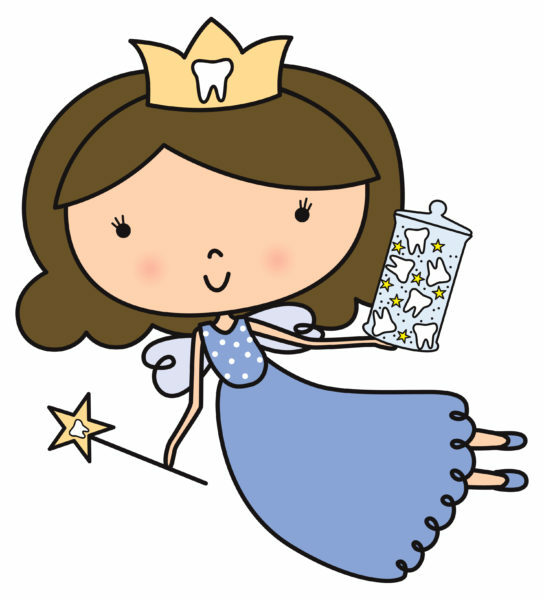 Of all the titles I hold (Mommy, chauffeur, referee, tutor, Santa, Easter Bunny, Leprechaun), the one I hate the most is Tooth Fairy! For a small mythical figure, she sure does cause a lot of drama in my life! They are literally screaming at the top of their lungs! I quickly try to calm them both down in hopes of keeping my 4 year old and baby asleep. After I convince them that she probably dropped the money, they return to his room and start the search! I quickly nudge (and by nudge I pretty much mean beat up) my husband and ask what to do! He told me to grab the money on the table and throw it behind the dresser that is designated as the pillow dresser! **Side note…does he really think it’s that easy?! I very quickly go into the room and find the 8 year old on the floor with his hands under the dresser and I find the 7 year old pacing the floor with a flashlight! First thing I spot is that actual tooth on the floor so I scoop that up! Then I suggest they look under the bed! I mean come on…Maybe she leaned in to check to make sure he was sleeping and dropped the cash! As they’re distracted I quite stealthily drop the bill behind the dresser. Once it hits the floor I join my boys in their search by the bed! I then tell them to just check the dresser one more time before the tears start to flow! My 7 year old has already given up and is now lying in his bed hiding under the covers. The 8 year old marches over and searches everywhere and finally looks behind the dresser! I promise you, I heard the angels sing when he discovered the missing money! They both ran back into my bedroom to inform my husband, who of course fell right back to sleep, that they found the money and then returned into the bedroom and went back to sleep for a little! I returned to my bed, with a smile on my face, because all was well with the world…Thank Goodness! That would have been one terrible day if it didn’t work out! I turned and looked to the clock and it read 7:03! Nothing like starting my day with a bang! Oh yeah...did I mention this all took place before 7a.m. on Mother's Day?? Damn you tooth fairy!